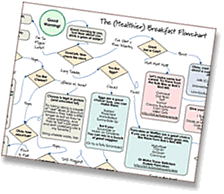 Kate Wheeler is the Los Angeles-based writer and publisher of the website Savour Fare. She is also a lawyer, a mother, a wife, a reader, and a cook. Savour Fare chronicles the foods and meals she cooks for her family and friends, and offers recipes, tips, and tutorials that make cooking from scratch accessible to even the most harried people. You can also find her on Twitter and Facebook. I initially thought I’d write a post for October Unprocessed about the kind of cooking I like to do best — simple meals cooked from scratch. I’m all about the idea that cooking from scratch doesn’t have to be extraordinarily difficult or time-consuming, and just about anyone with the interest can do it. However, eating truly unprocessed goes beyond just cooking from scratch, and forces you to really think about what’s in your pantry. And the results can be surprising. Take vanilla extract, for example. This little bottle is so ubiquitous that we hardly think about what goes into it. 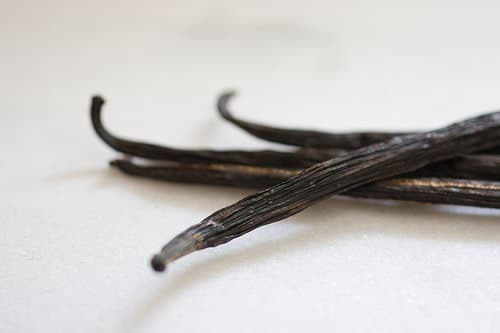 Imitation vanilla extract contains vanillin, a synthetic version of vanilla’s natural flavor compounds, and popular grocery store brands of both imitation and “genuine” vanilla extract may also contain corn syrup and caramel color. I’ve given up buying my vanilla extract years ago, in favor of making my own. It takes approximately three minutes to assemble a large jar, and within a couple of weeks you’ll have enough homemade vanilla extract to last you a long time. This extract also gives a clear, true vanilla flavor, and is made from just two ingredients. Madagascar or Bourbon vanilla. This is the bean with the smooth, sweet flavor that’s typically available as extract in the United States. Mexican vanilla. This has a very full flavor that’s often described as creamy and spicy. Tahitian vanilla. These beans are known for their intense floral aroma. The beans are long and thin and dried, but should be pliable, and the best quality ones are plump and moist with natural oils. They can be found at many gourmet and spice stores. I buy mine online from Saffron.com or Beanilla. 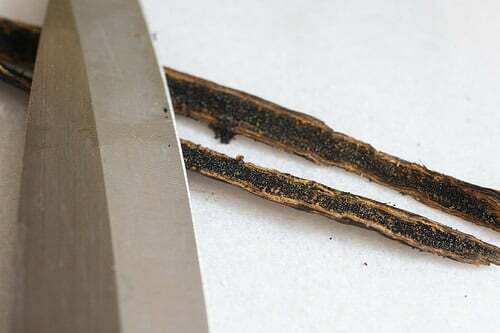 Using a sharp knife, slice the vanilla bean lengthwise. Spread the two halves apart to reveal the vanilla seeds. These give the extract its flavor. Place the split beans in a large mason jar, fill the jar with vodka, and store at room temperature. I use 3-4 beans for about 750mL vodka, but I’ll refill my jar and add a fresh bean or two when I get low. After about two weeks, the vodka will have colored (who needs caramel color?) and, if you wish, you can decant the vanilla into smaller bottles for ease of use or gift-giving. This is a great holiday gift for anyone who loves to bake or just loves vanilla. 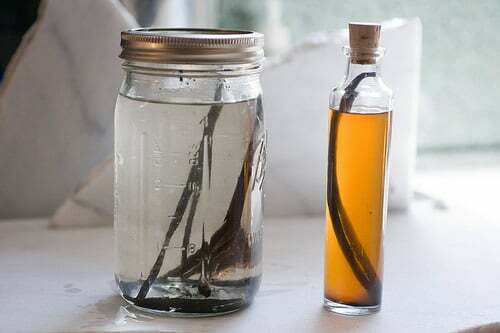 Given the ease and cost-effectiveness of making your own vanilla, there’s simply no need to subject yourself to processed vanilla extract ever again. What makes Vodka better than what is in the store bought extract. I have no idea how vodka is made or what is in it. I will try making my own. I am forever running out of the store bought kind. Is DOES NOT need to be refrigerated, right? Thanks! This looks like fun! I have to use at least double the amount of vanilla in my recipes for the flavor I like. Making my own will save me the trouble of constantly buying my own. Since I like strong vanilla flavor, perhaps I should use extra beans. I’ll have fun with it! This is awesome! We have people here in Maine who make Vodka from local, organic potatoes, so there you go! Thanks for this recipe! I’ve been creating our own vanilla for years, but using 151 rum instead. It does impart color if you use the traditional kind. Plus, I usually have it on hand anyway for use in flambé dishes. I’ve been buying beans from the same folks online – great prices on dried mushrooms, too. Thanks, Kate!